Last year more than 75,000 people attended ACL. With each passing year the musical festival grows in popularity, meanwhile the Zilker Park venue hasn’t gotten any bigger. Despite adding an extra weekend to ACL this year, the first segment from October 4-6th has been sold out for weeks. Luckily, we have connections and scored a few extra 3-day passes that we plan to share with one lucky music-lover. If you missed out when they went on sale here’s your chance to get in on the action. Not only will you have access to all the amazingness ACL has to offer, you’ll get it for FREE and get there in style. The winner will receive a 3-day pass to the first weekend of ACL for themselves and a friend. But since this is Royal Executive Transportation of course we had to make it a tad more swank. In addition to getting a pass into the festival, we’ll also give you a ride there each day. Royal Executive Transportation will pick you up at your Austin house or hotel in one of our luxury vehicles. You’ll be whisked away in style and roll up to Zilker Park without having to fight the crowds for parking or shuttle services. You will have to arrange for your own transportation whenever you’re ready to leave, and you must be in the city limits to receive the rides to the venue each day. There’s no purchase necessary to win. You don’t even have to be a past client, but you do have to be at least 18 years old to enter. That’s it! The winner will be announced on October 3rd, so check back in to the Facebook page or website to see if you’ve won. We’ll also be contacting the winner via email and phone to get everything arranged for the next day. 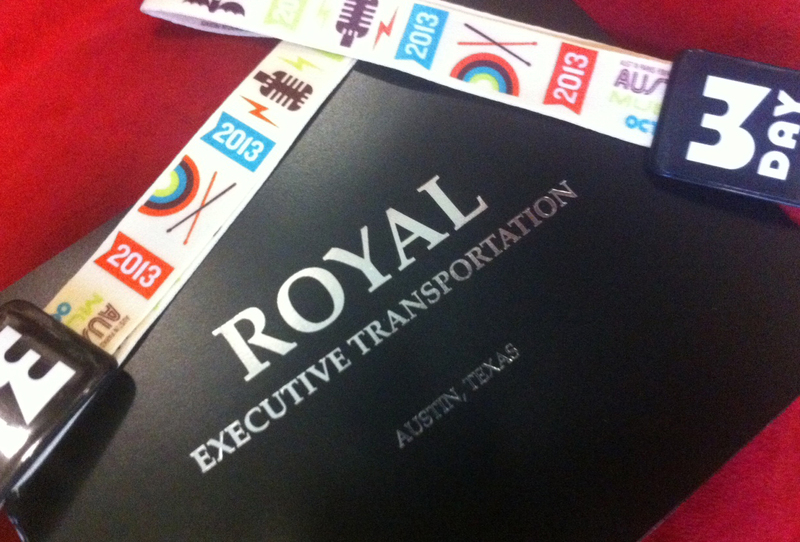 Good luck, and don’t forget to check out the official ACL contest rules on the Royal Executive Transportation website.